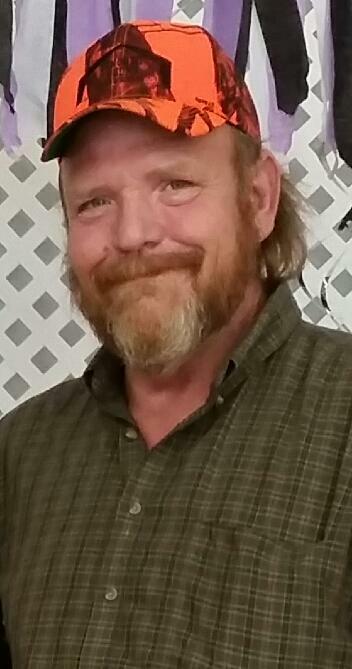 Randell “Randy” Hutcheson, age 55, an Atoka, OK resident, passed away Monday, February 12, 2018, at Saint Francis Hospital in Tulsa. Randy was born December 13, 1962, in Oklahoma City, to Wanda and Pat Hutcheson. He married his best friend and long-time companion, Jeanie Michelle Seabourn, on July 26th, 2006 in Coalgate, OK.
Randy was employed by Tractor Supply in Atoka, OK. He enjoyed spending time with his wife and dogs, watching T.V. & fishing anytime he had the chance. Randy had a big heart and was known to always lend a hand to anyone in need. Randy is survived by his wife of the home, Jeanie Michelle Hutcheson. Step Daughters, Sadah Lasich of Stillwater, OK. Sarah Hampton & Husband Matt of Coalgate, OK. Grandson, Seth Hampton of Stillwater, OK. Two Brothers, David Hutcheson & wife Cheryl of Norman, OK. Scott Hutcheson & wife Jill of Lane, OK. Many dear and loving family and friends. He was preceded in death by his parents, Pat & Wanda Hutcheson and brother, Donald Hutcheson. Memorial services to be held in Atoka, OK.
Our deepest condolences on the loss of Randy. He was a gentle soul that will be missed. Praying for all of you during this difficult time. I know the last two months have been hard on you. My prayer for peace and comfort for all of you. God answers prayers. We may not see each other daily but each and everyone of you have been in our heart and prayers. Love you all more than words can describe. Randy will be missed.